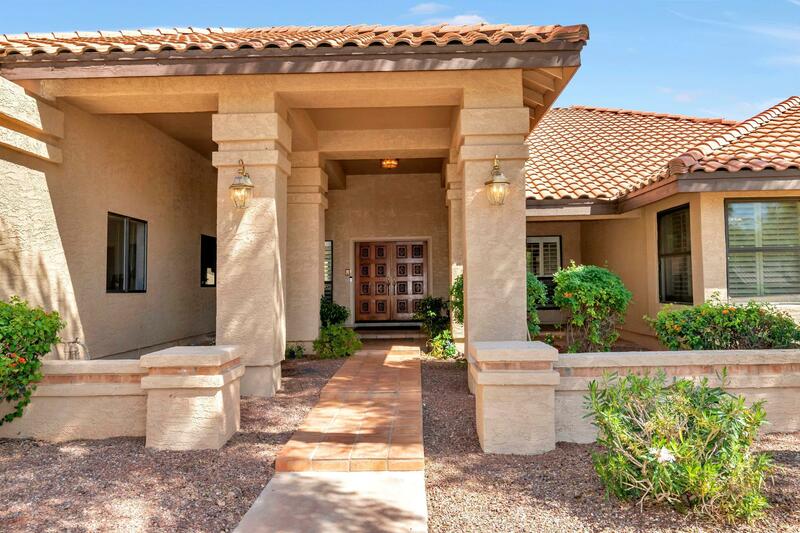 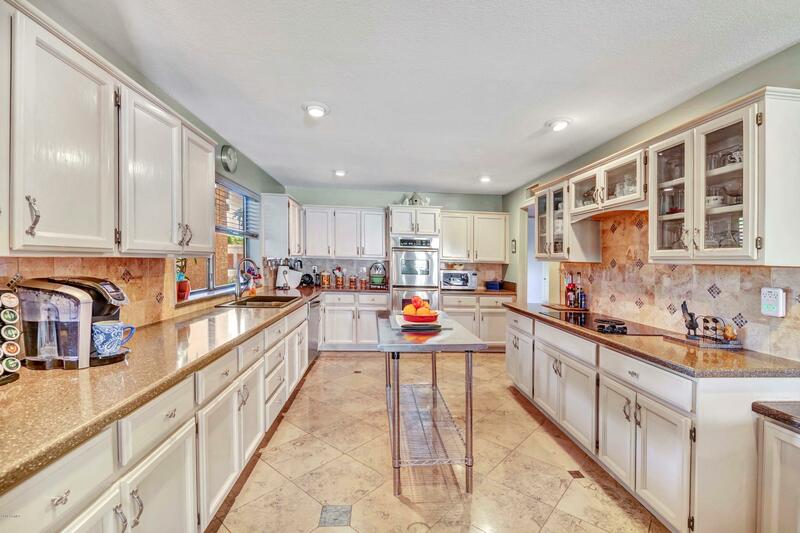 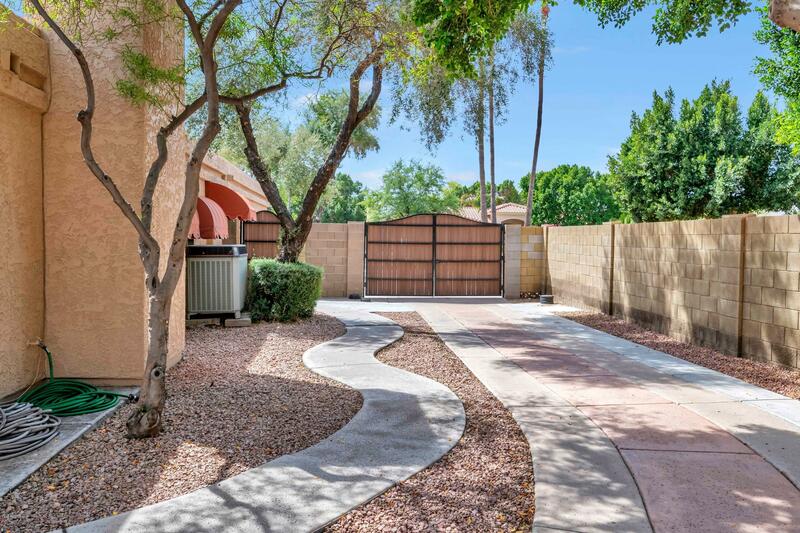 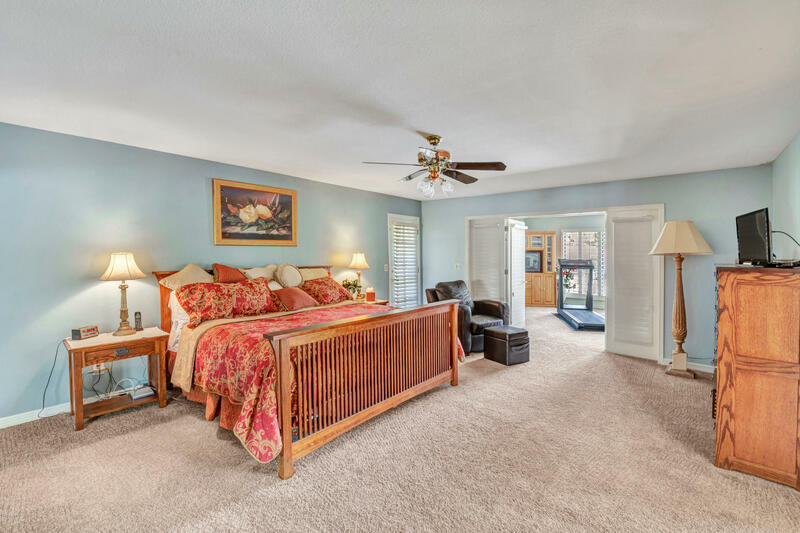 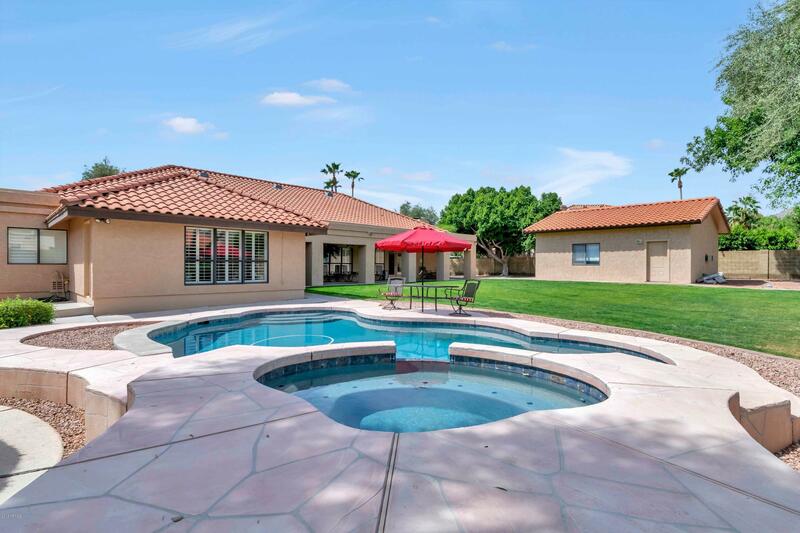 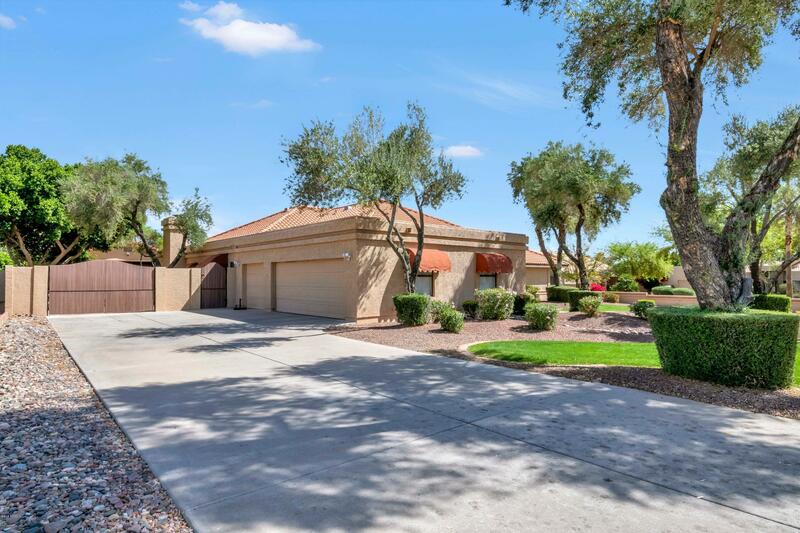 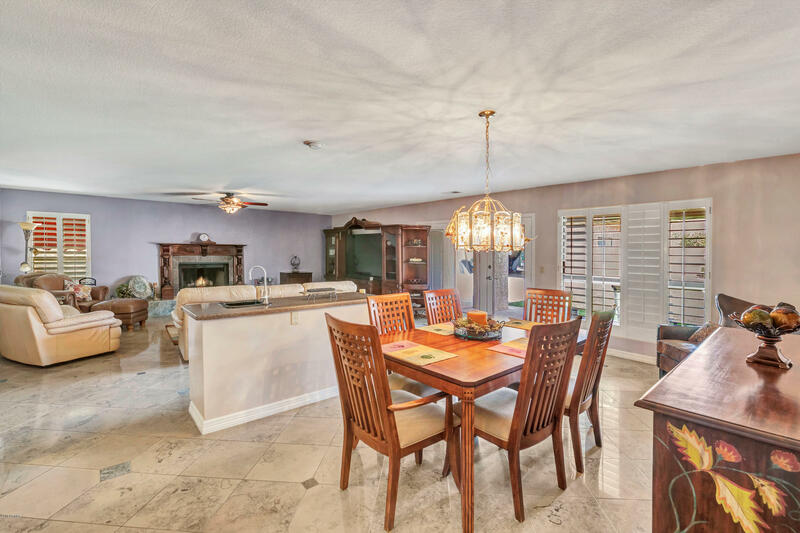 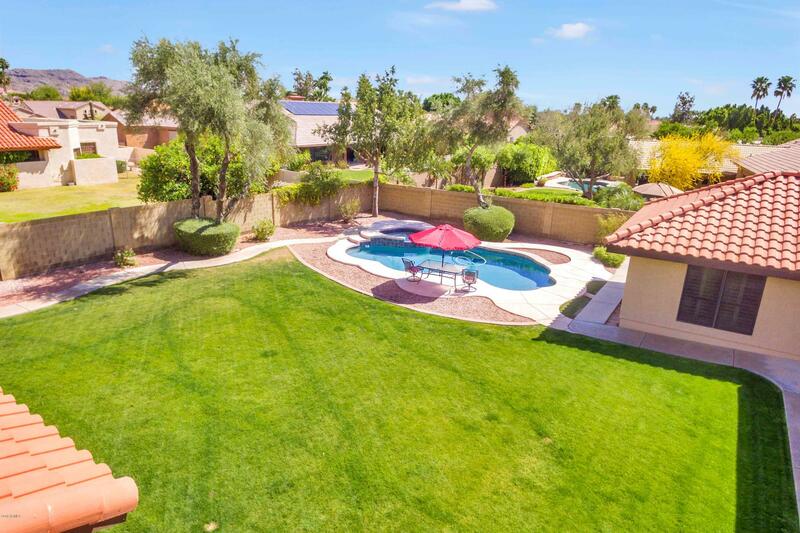 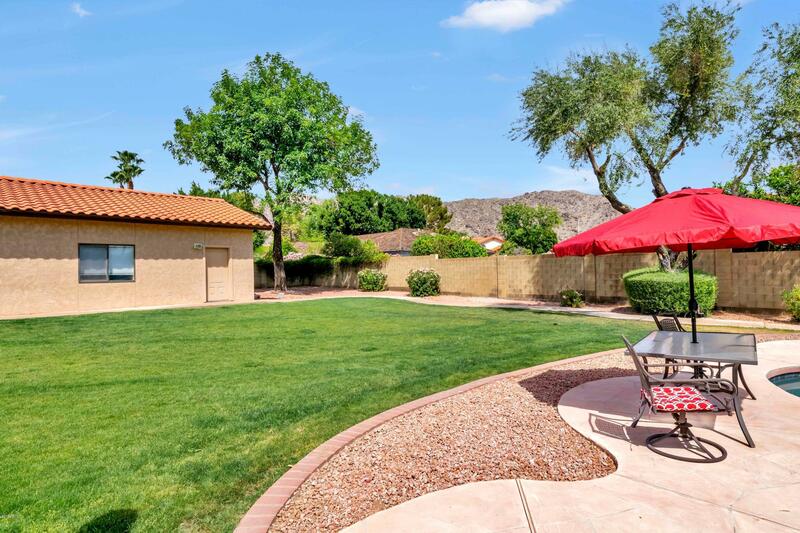 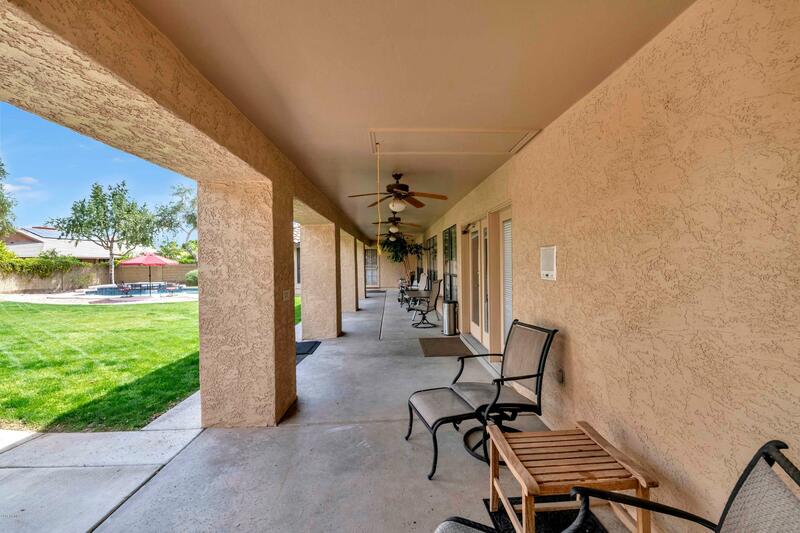 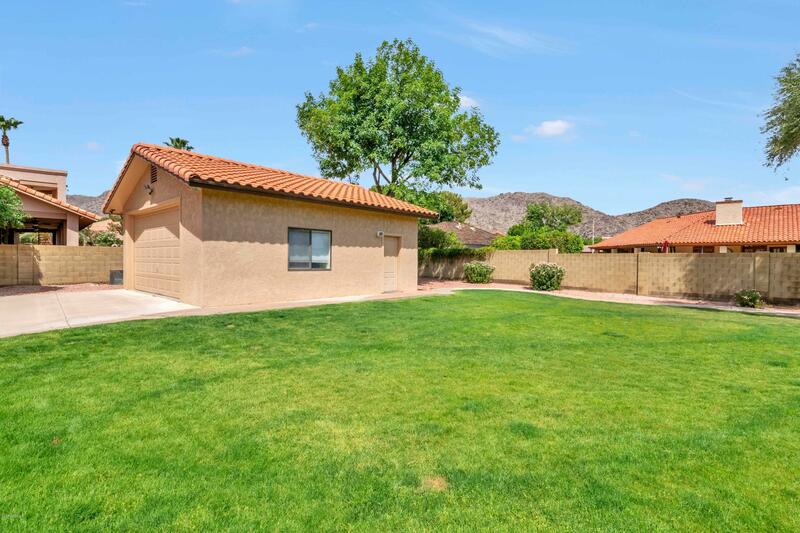 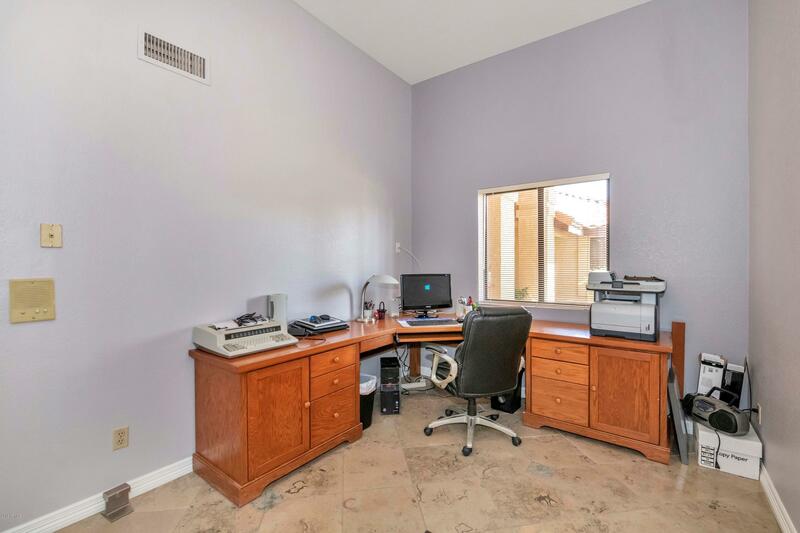 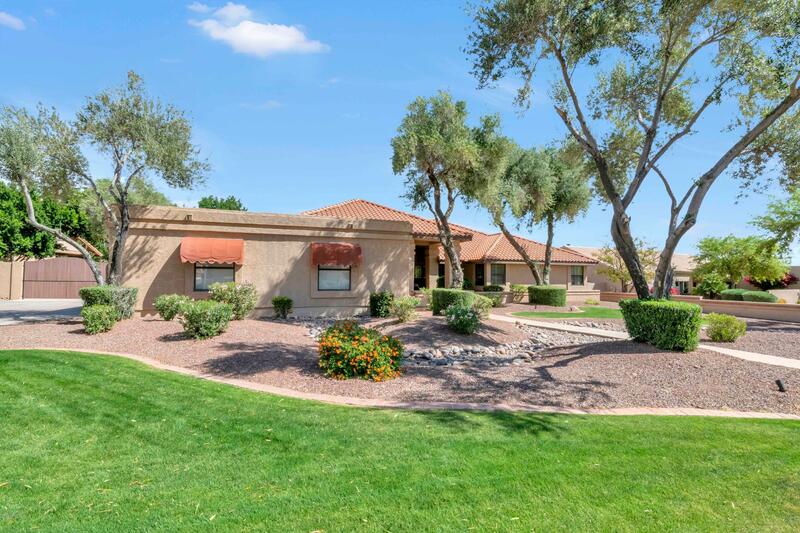 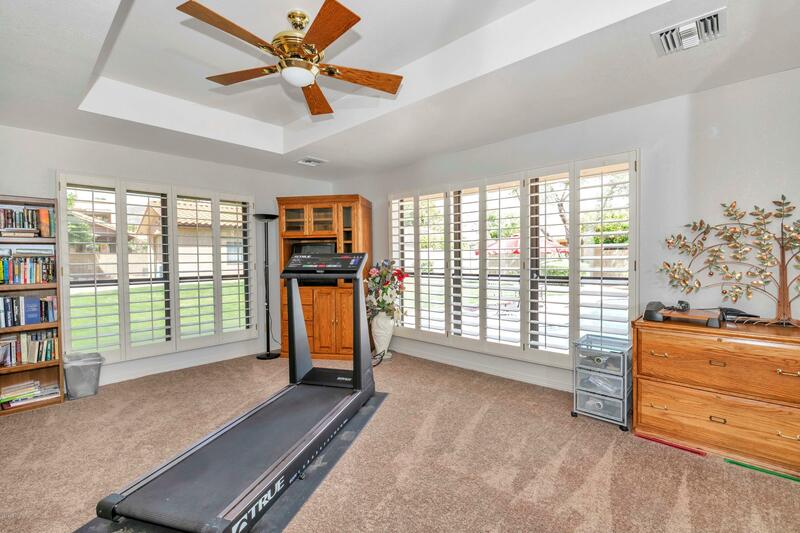 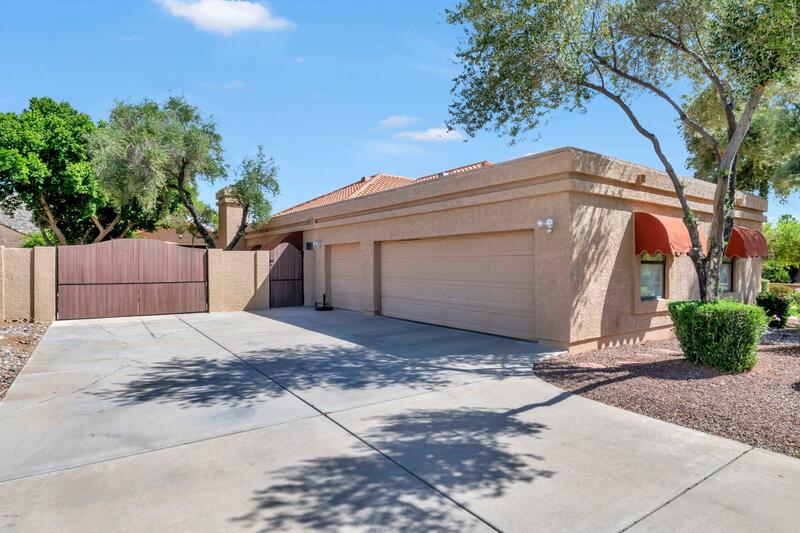 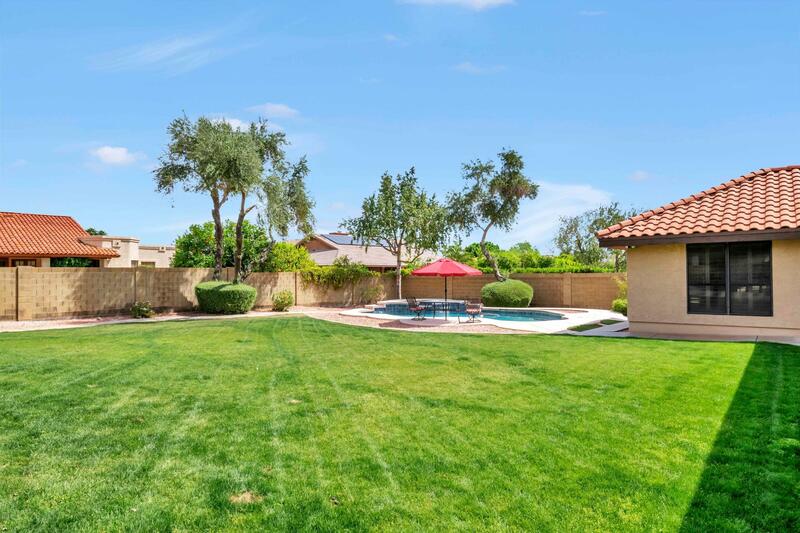 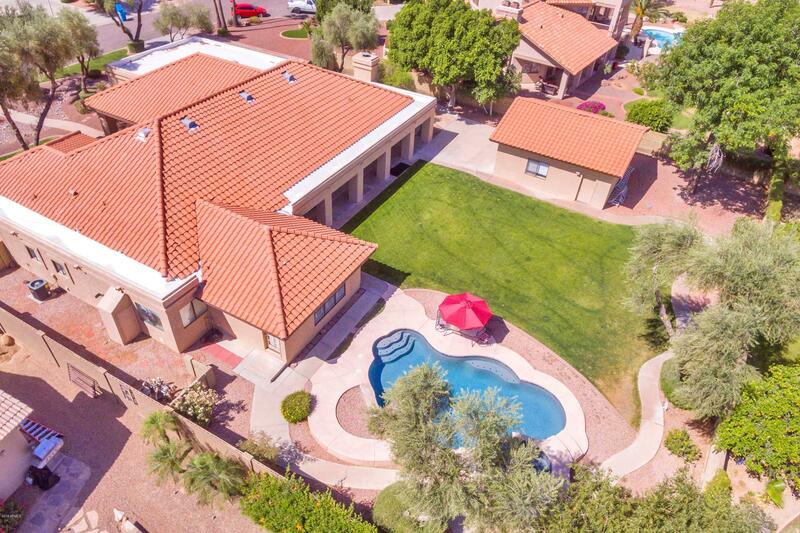 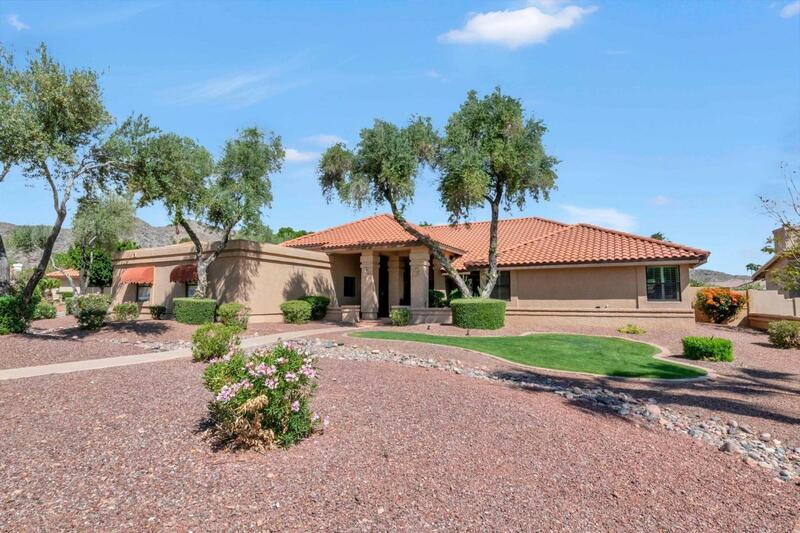 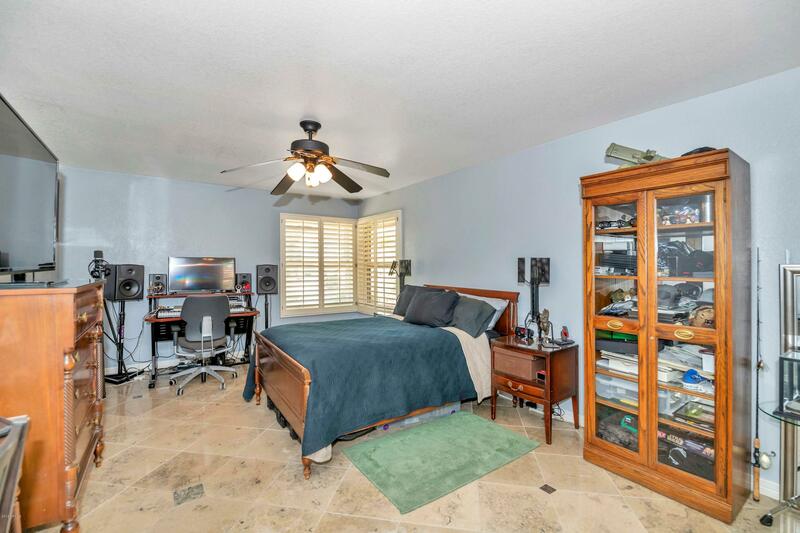 Awesome large single story custom home in highly desirable Ahwatukee Custom Estates. 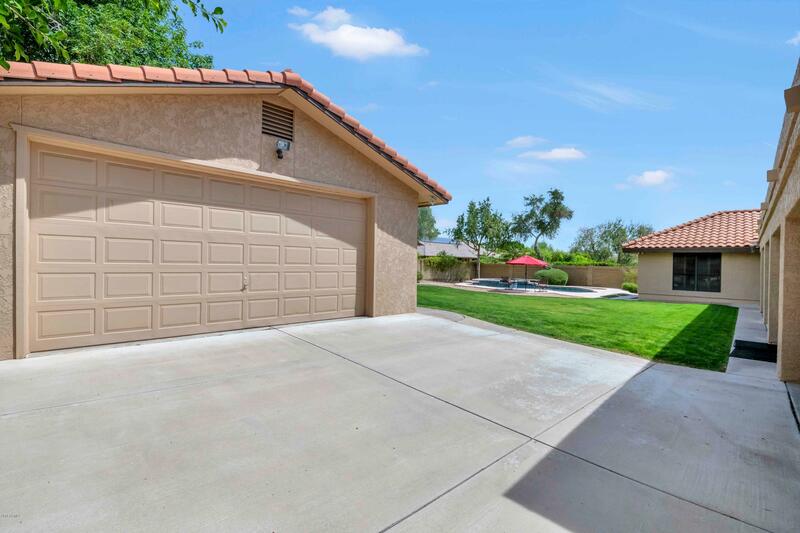 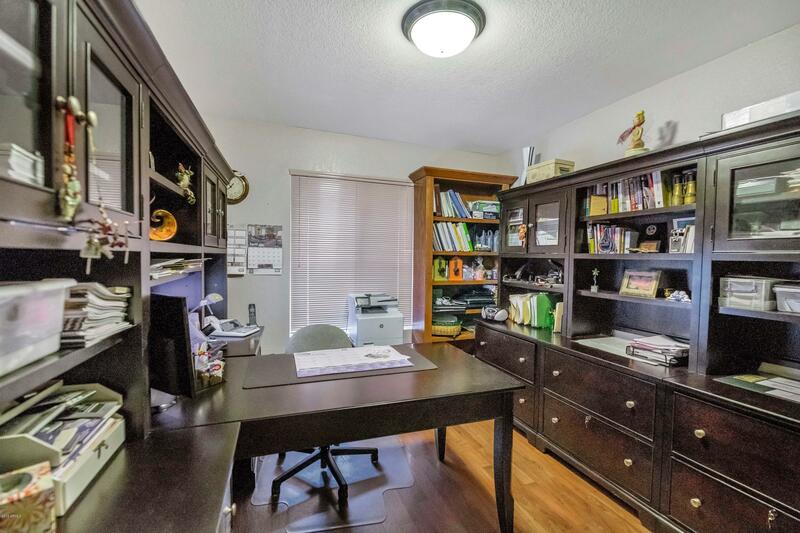 Oversized 3 car garage and a separate 2 car garage with 10' door in back yard with extra driveway. 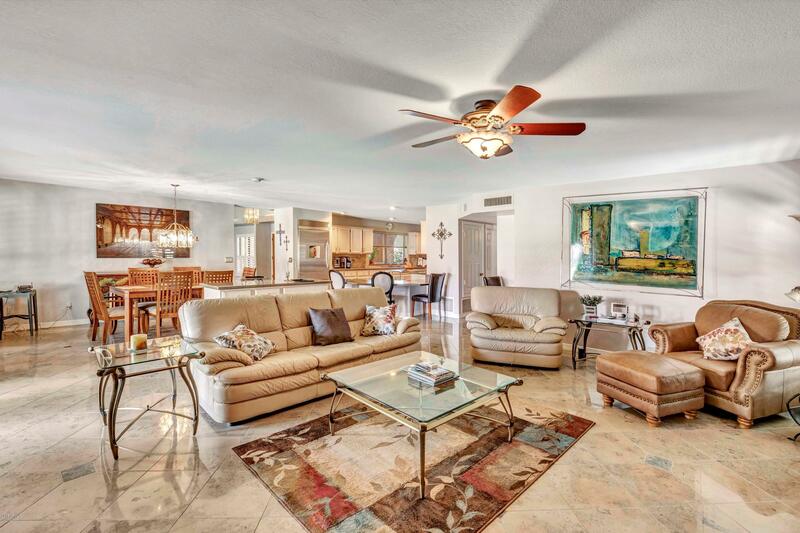 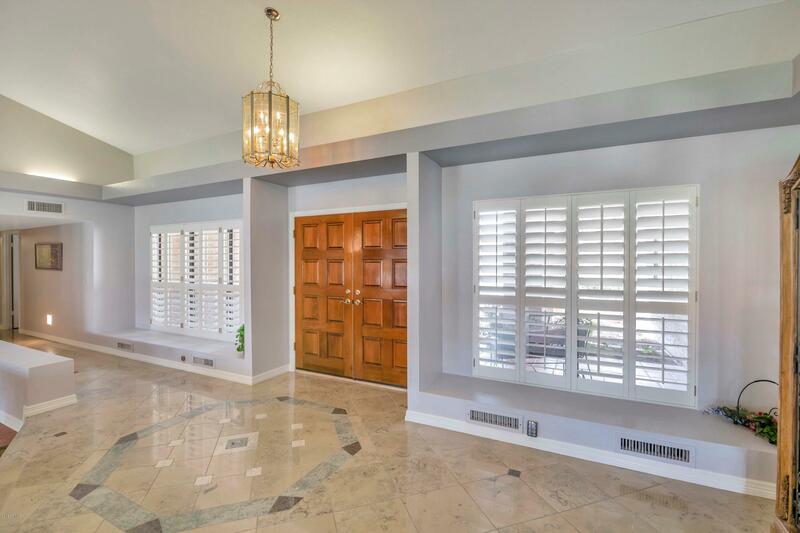 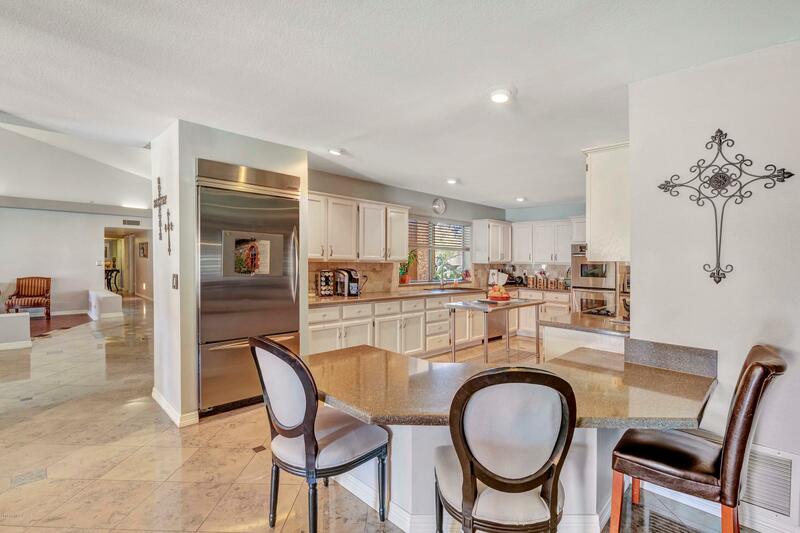 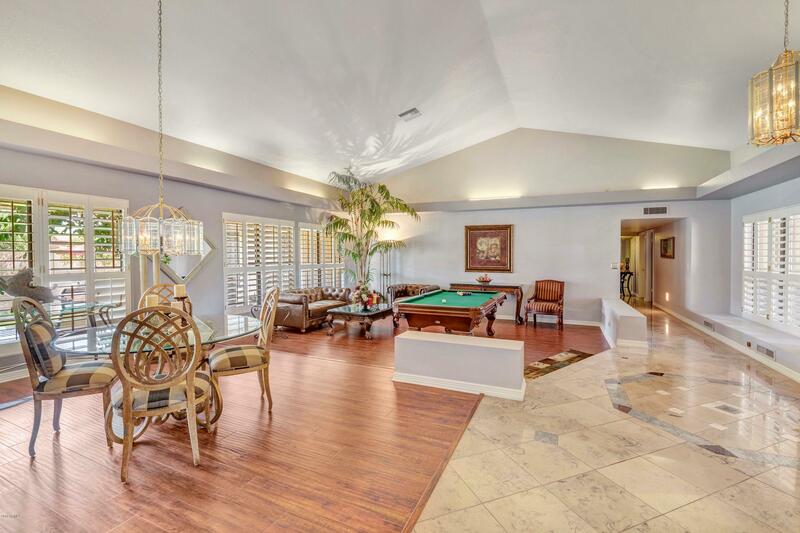 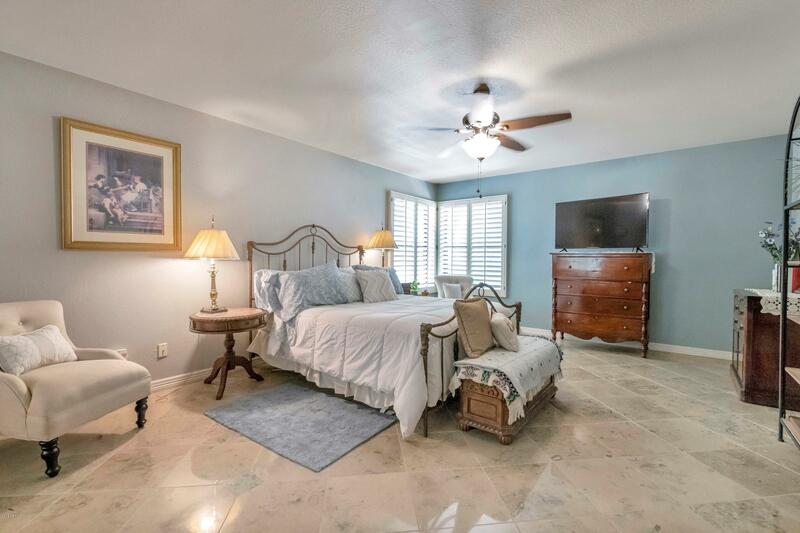 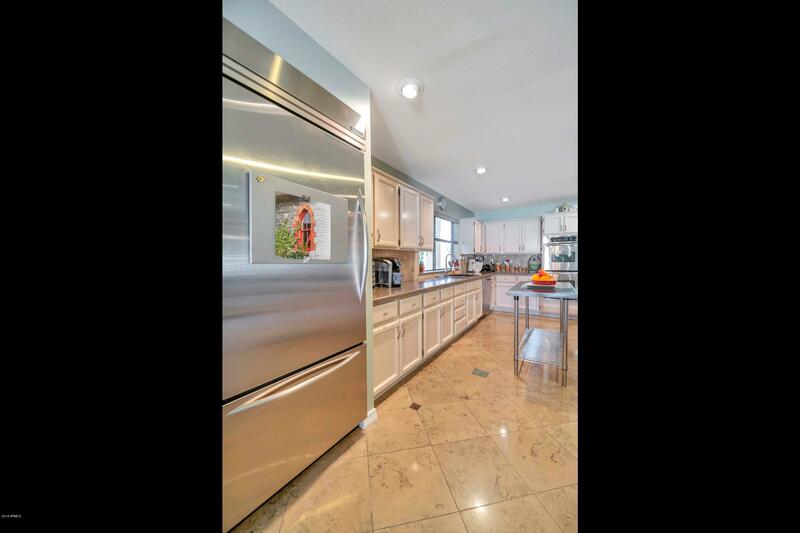 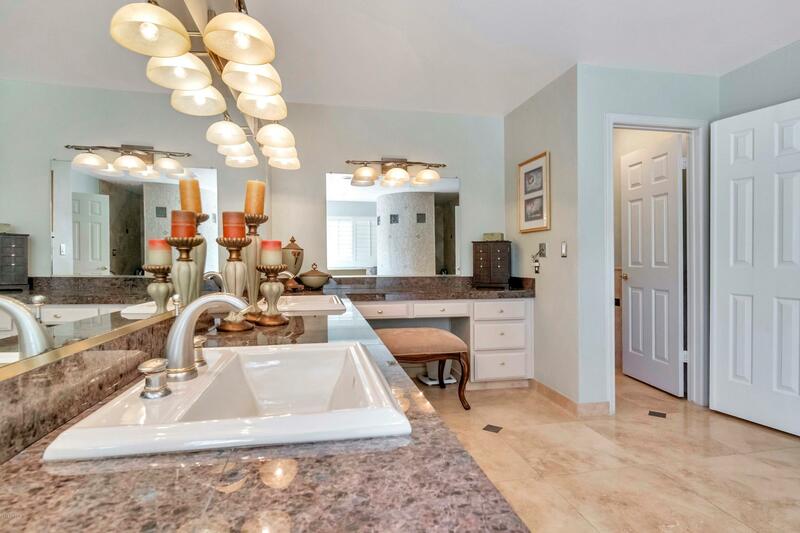 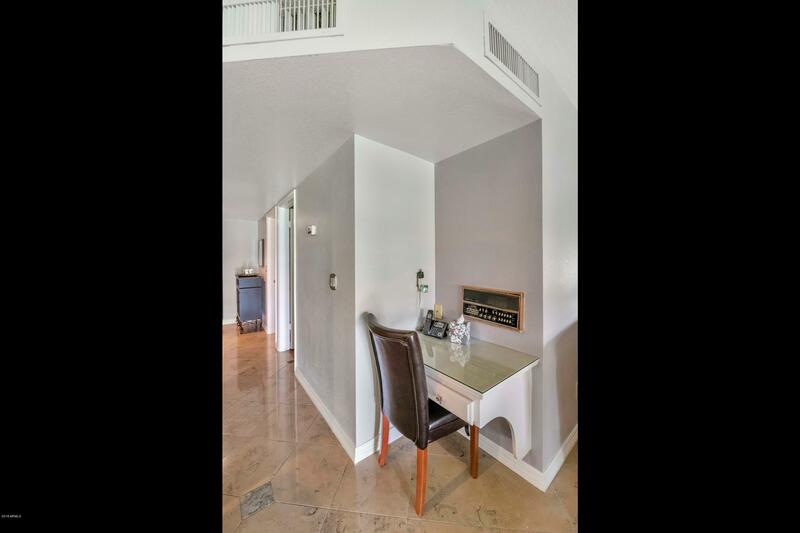 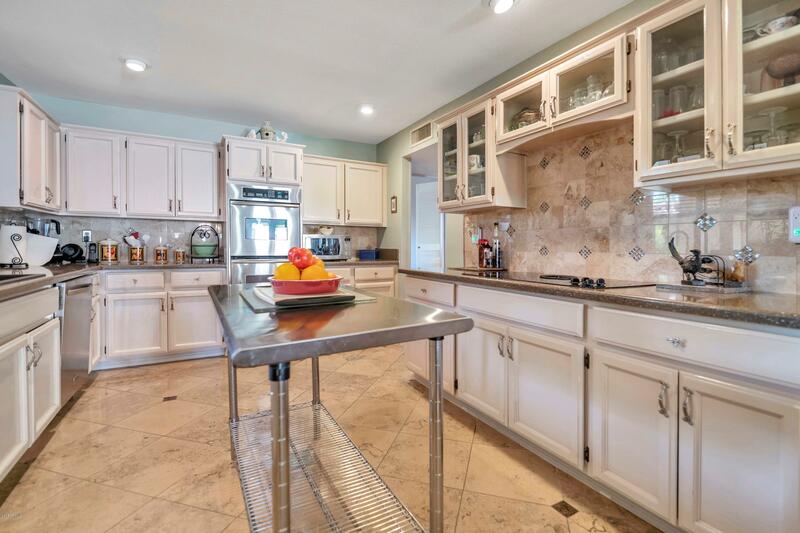 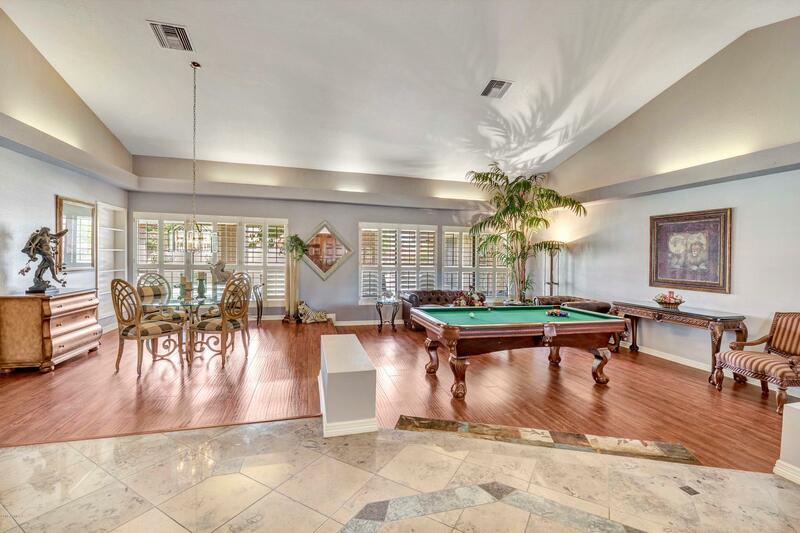 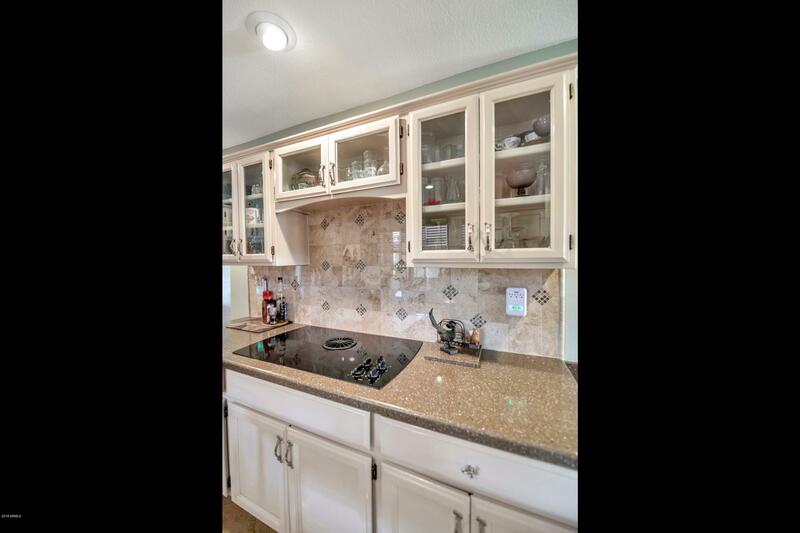 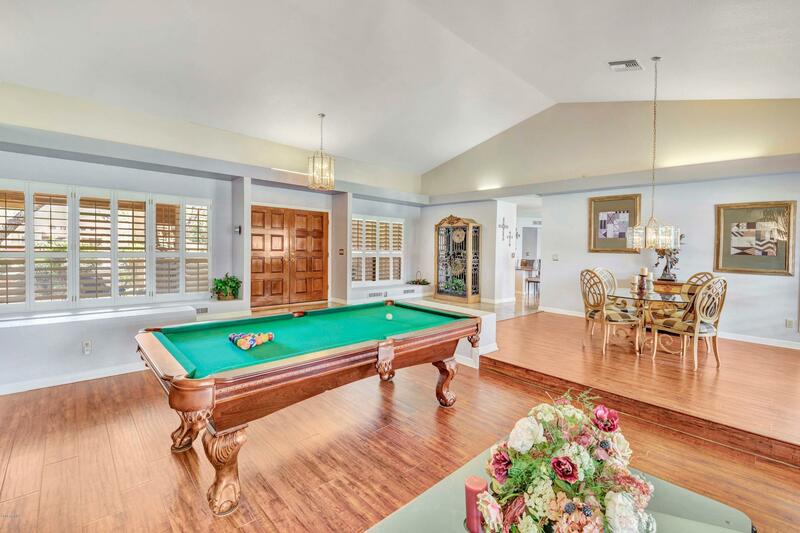 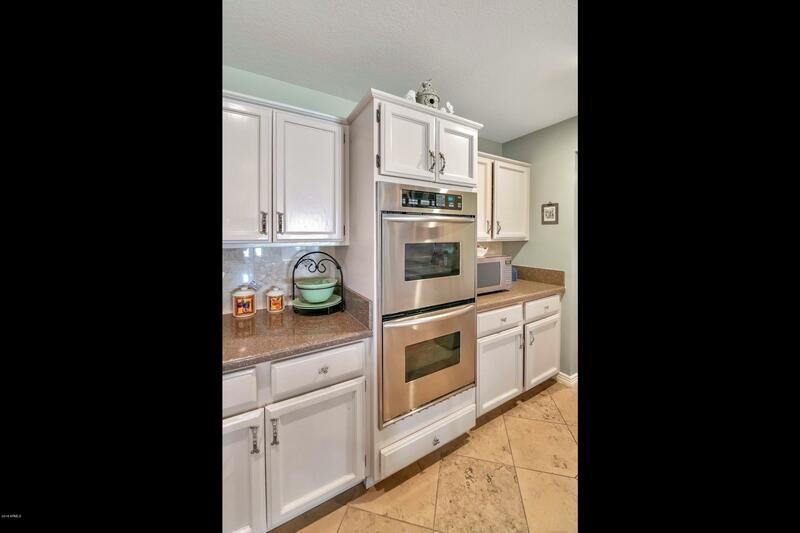 Gorgeous limestone floors in high traffic areas, Zodiac Quartz kitchen counters with eating area and also at wet bar. 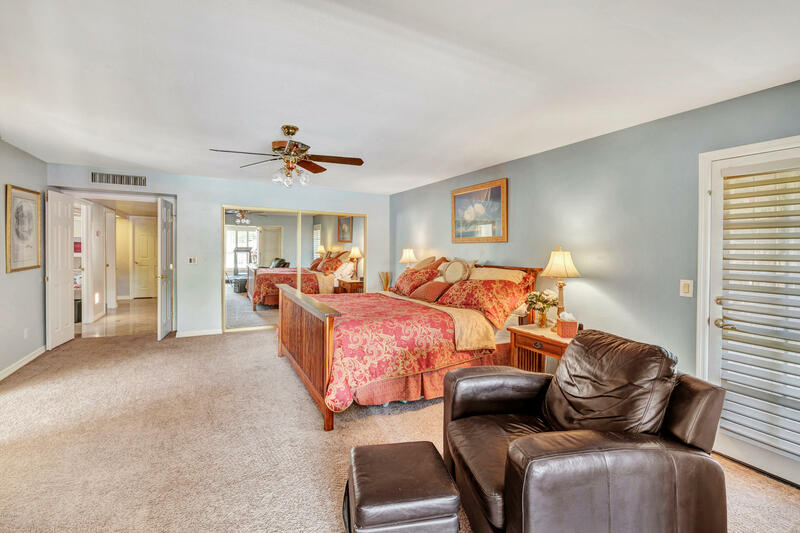 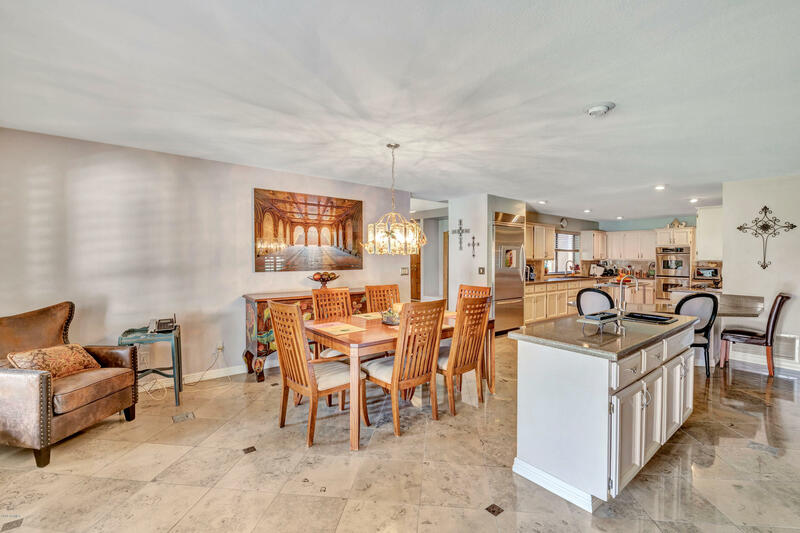 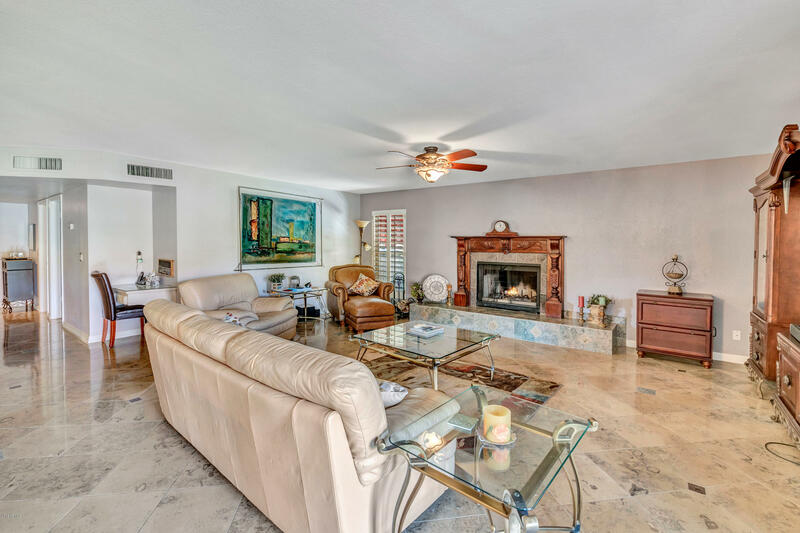 A large open family room off the kitchen with stunning wood burning fireplace. 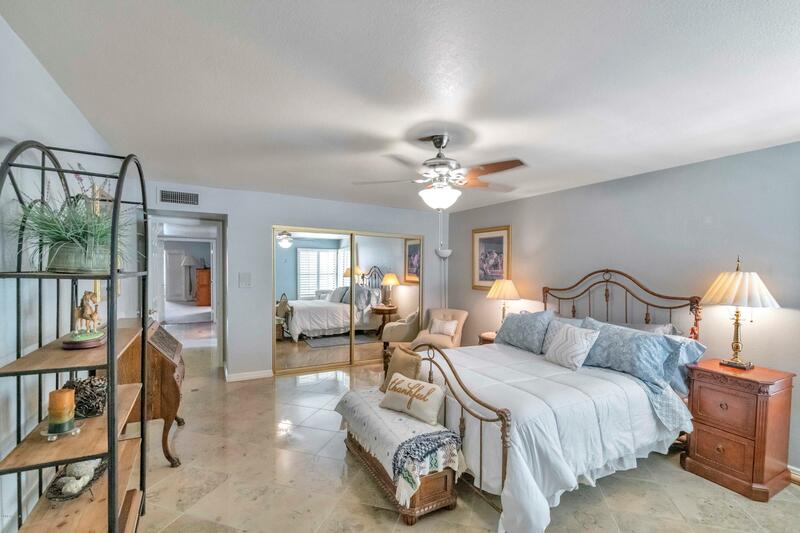 The size of 2 of the guest bdrms will surprise you. 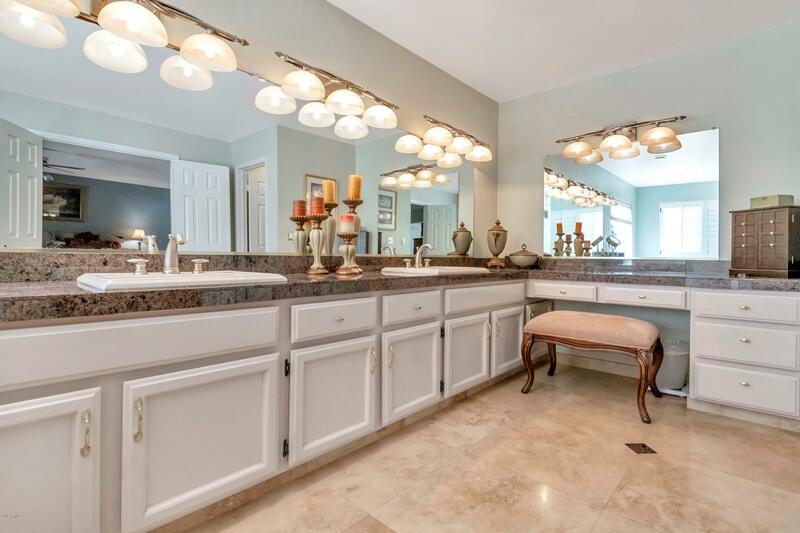 Baths have granite slabs or granite tile counters. 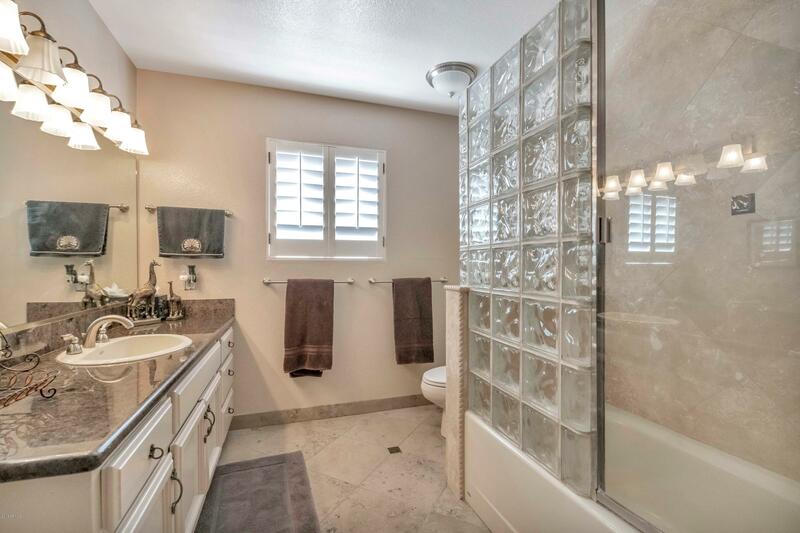 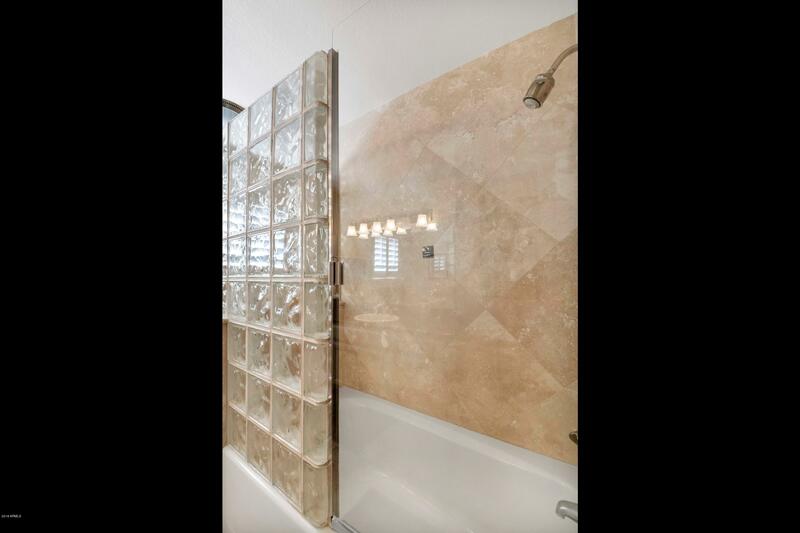 Walk in tiled shower in master along with a spa tub. 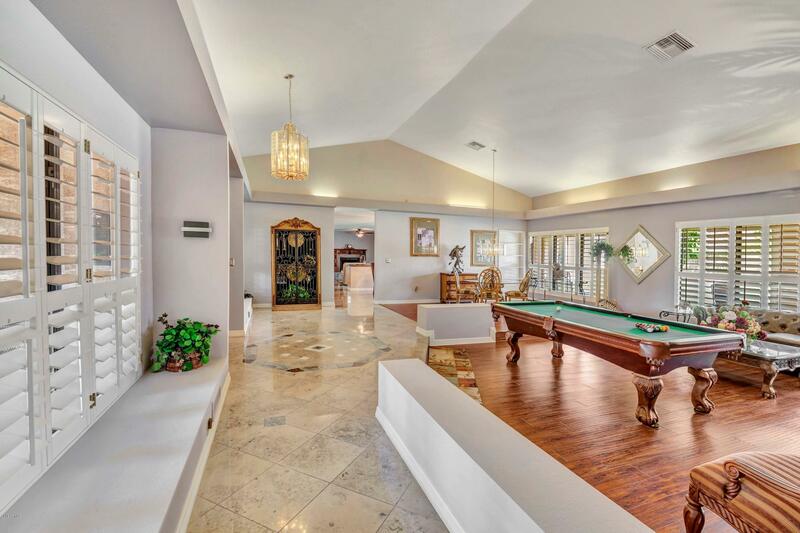 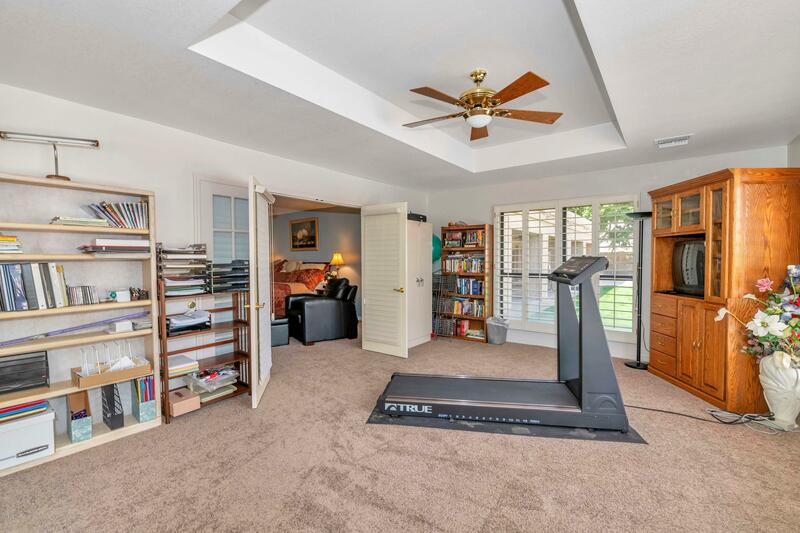 A Very Open Floor plan to fit modern tastes. 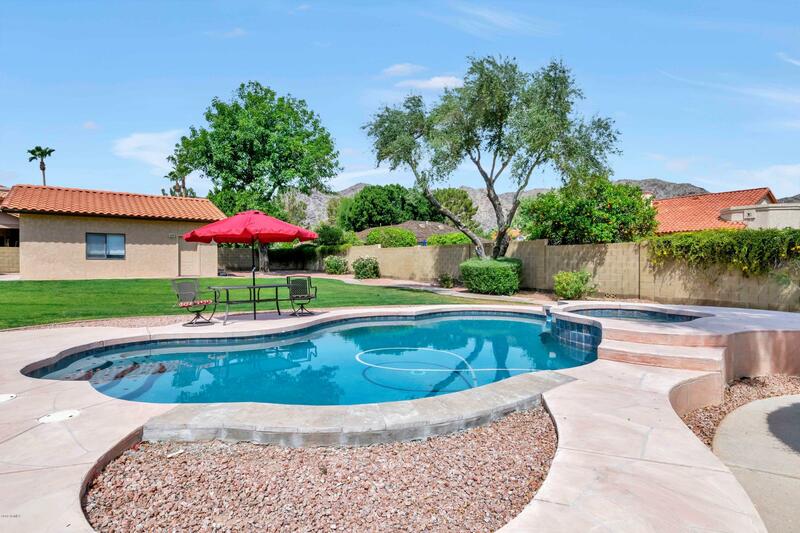 Sparkling pool with spa. 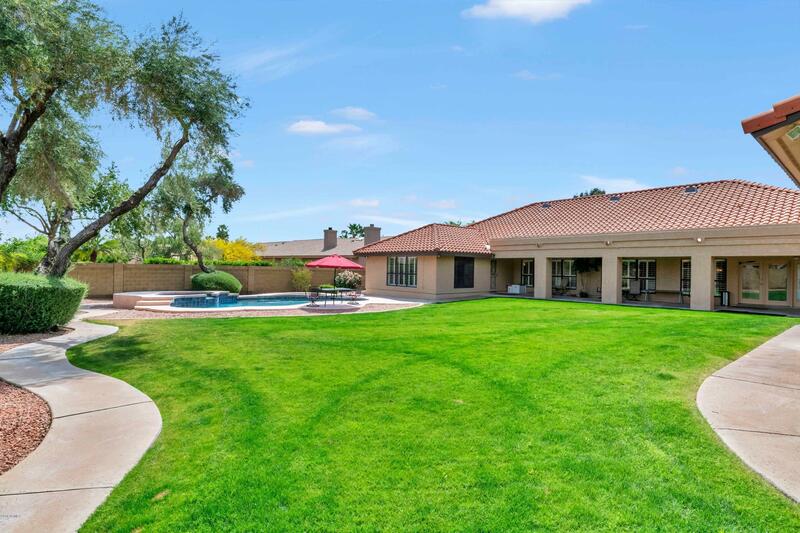 Large backyard is perfect for your pool parties, badminton, Croquet etc. 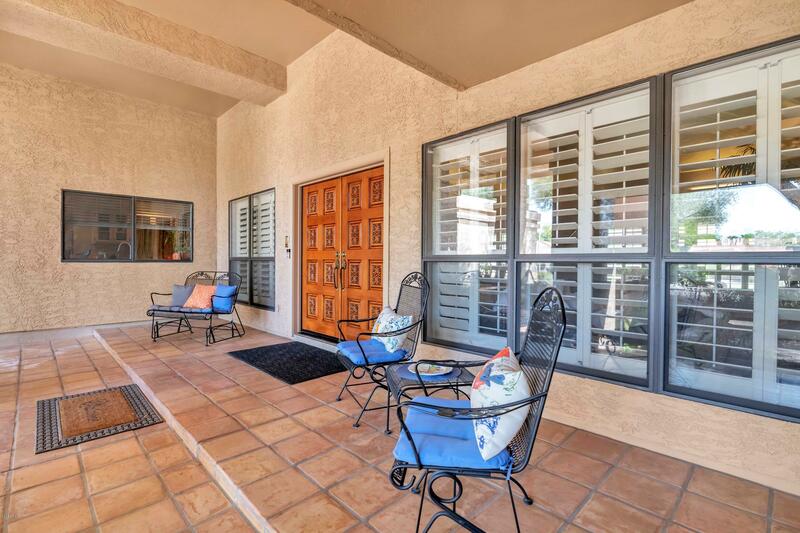 Full covered patio in back and lovely front patio sitting area. 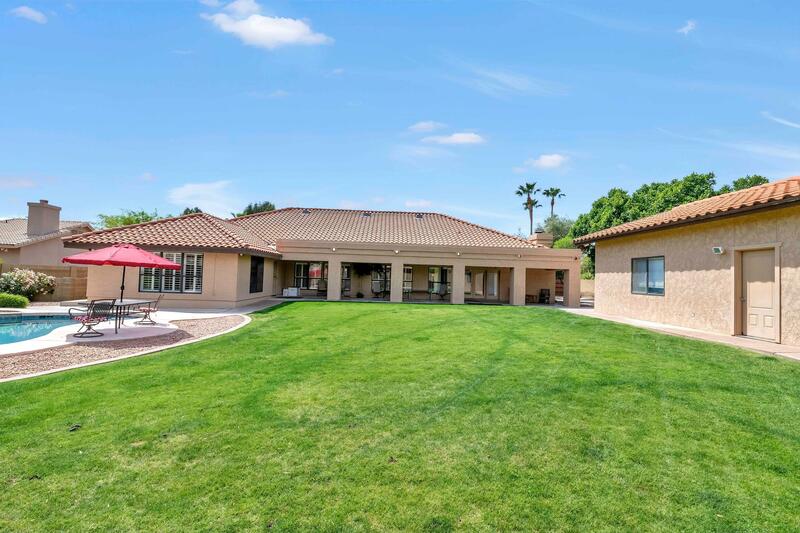 Extra long driveway with side entry garage.